Latest stone edition. I really should do a post on each of my stones/crystals. I have neglected my spiritual side. My ancestors have been calling to me, in hopes to reconnect me with my spiritual path and I am ready. This turitella agate stone has been something that’s caught my eye previously, and now I finally have one. It’s a rough cut, but I love the snail and small insect/creature patterns found inside it. Today, I held this stone in my hands and prayed for my ancestors to hear me. I spoke my mother and fathers names, and called to my ancient bloodlines. I asked for messages, and thanked them for their blessings & presence. 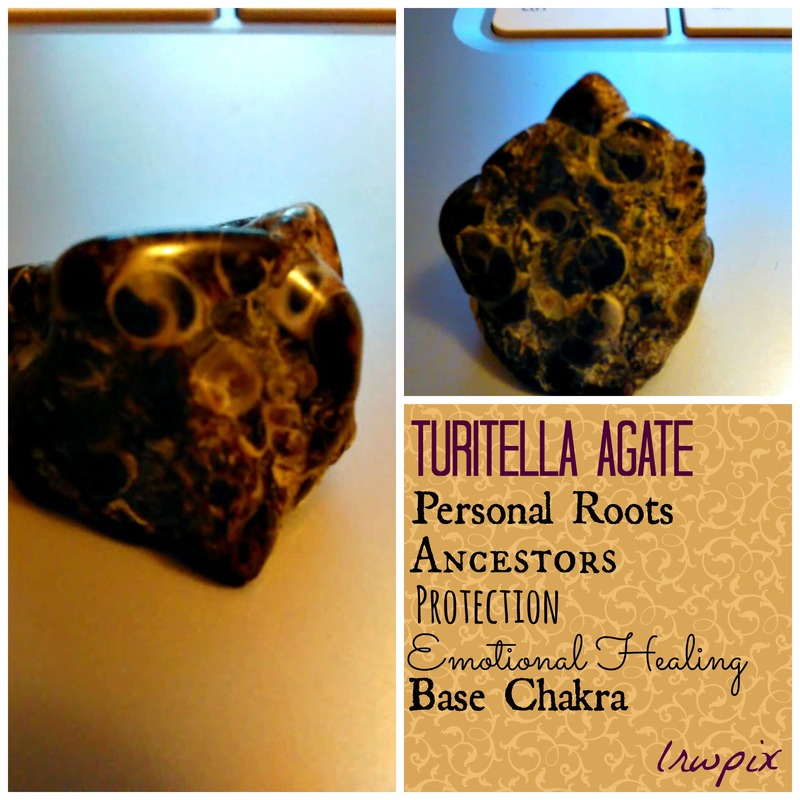 This entry was posted in Moon, Stones and tagged 2015, agate, alaska, ancestors, base chakra, crystal, emotional healing, new moon, november, protection, spiritual path, stones, turitella agate. Bookmark the permalink.